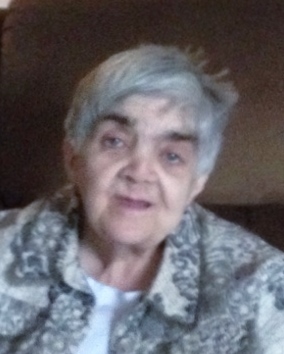 Beverly “Sue” Shriner Bowman, age 76, of Osceola passed away on Sunday, January 13, 2019 at her home surrounded by her family. Sue was born on December 24, 1942 in Goshen, IN to the late Lester and Mildred M. Shriner. On May 24, 1979 in Elkhart she married John E. Bowman. Sue was a homemaker and a loving wife, sister and friend. She attended Wakarusa High School. She is survived by her husband, John, of 40 years, her siblings; Larry (Phyllis) Shriner, Stanley (Jean) Shriner, Randy (Meredith) Shriner, Brian Shriner all of Goshen and Sharon (Ken) Stoll of Elkhart. Her step-brother; Jim Hettmansperger of Vandalia, MI step-sister; Jane (Saul) Bryant of Elkhart, Rhonda Weaver of Raleigh, NC and her brother in law; Lloyd Bontrager of Elkhart. She is also survived by her "Partners in Opportunity" family. Sue was preceded in death by her parents, sister, Gloria Bontrager, and step brother Doug Hettmansperger.